Are there time limits on the length of the funeral? No. We do not conduct ‘conveyer belt’ funerals. We want you and your family to feel relaxed. Can I leave flowers or plant bulbs or seeds on the grave? 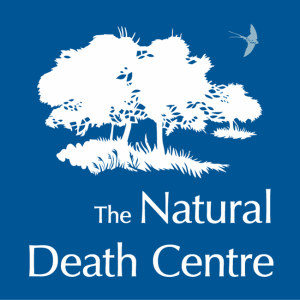 We are working hard to ensure that the burial ground develops in to a nature rich woodland with as many disease-free plant species as possible, so we are unable to allow families to lay flowers or bring in any bulbs or seeds to the site. If the grave is looking a bit overgrown, can I cut the grass? The burial ground is not a manicured cemetery and is intended to remain a natural habitat for wildlife to thrive in so we require families to refrain from cutting grass or other plants on their loved one’s grave. There is no need to do this as it will be mown by us in the autumn to allow it to seed, thus allowing a greater diversity of flora and fauna to thrive and to ensure we remain carbon positive. Can people be buried next to each other? Yes. Adjacent plots can be purchased at the same time as availability at a later date cannot be guaranteed. Can I pre-purchase a plot? Yes. Pre-purchasing a plot reserves your burial plot at today’s price. Do we have to engage the services of a funeral director? No. However, your loved one will need to be cared for between the time of death until the funeral. Please ask us for advice. Yes. You will find a list of these in the Resources tab along with recommendations for biodegradable coffins, local accommodation and after service facilities. 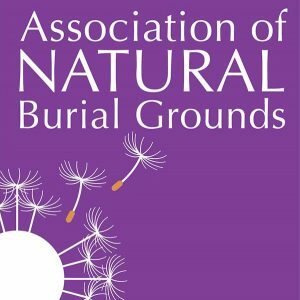 Will the site remain as a natural burial ground forever? Yes. Each burial within the burial ground secures the land for the future. There is no likelihood whatsoever that any other development will take place on the site. It is protected from future development as the local planning authority have granted permission for the land to be used as a burial ground. Any other land use would require an application to the planning authority for development and such an application would be unlikely to receive consent. Can we play music at the graveside? Yes. Bagpipers, choirs, harpists etc are all welcome. Can we hold a church service and then come to CairnBrae for the burial? Yes. Your minister will hold the committal at the graveside. Do we own the grave/land? No. You own the exclusive right of burial. 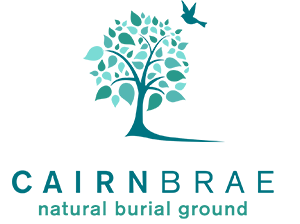 The freehold is owned by the company CairnBrae Natural Burial Ground Ltd.
Will you as the owner be buried there? Absolutely – along with many other members of our family. These are just a few examples of questions we are asked but please do get in touch if there is anything you are unclear about.